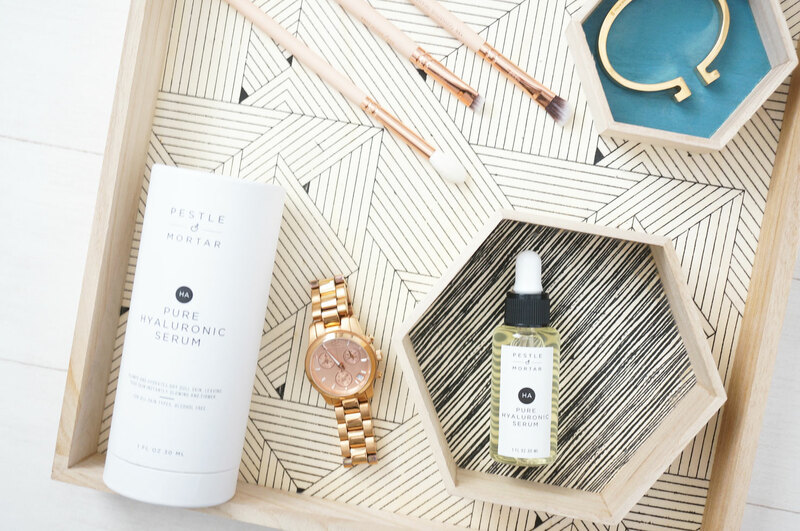 Anyway, I have a gorgeous new skincare product to share with you today, this is Pestle & Mortar’s Pure Hyaluronic Serum. I hadn’t heard of Pestle & Mortar until now, and after a bit of research I found out they’re a family owned company founded by Sonia Deasy in early 2014. Described as an innovative beauty and body wellness company, Pestle & Mortar was born out of Sonia’s quest for a product that would make her skin more radiant and hydrated, diminish fine lines and look more youthful. Ok so what does this actually do? Wel Pure Hyaluronic Serum is described as the ultimate multitasked for your skin. It promises to hydrate and soothe even the most sensitive skin (such as mine!) whilst smoothing fine lines and restoring youthful elasticity. It contains Hyaluronic Acid which is a carbohydrate found naturally in the human body, mostly in skin tissue. Hyaluronic Acid provides continuous moisture to the skin by binding up to 1000 times its weight in water. The product itself is clear and has a super lightweight, silky formula. You’re advised to smooth two to four drops over your cleansed and toned face before applying other products. I’ve used this a few times now and my dry skin just loves it! My skin instantly feels refreshed, intensely hydrated and plumper. I think with regular use I’ll definitely see more visible improvements too! It’s also worth mentioning that Pestle & Mortar Pure Hyaluronic Serum is 100% free of animal derived raw materials and organic solvent remnants, paraben free, propylene glycol free, fragrance free and not tested on animals. 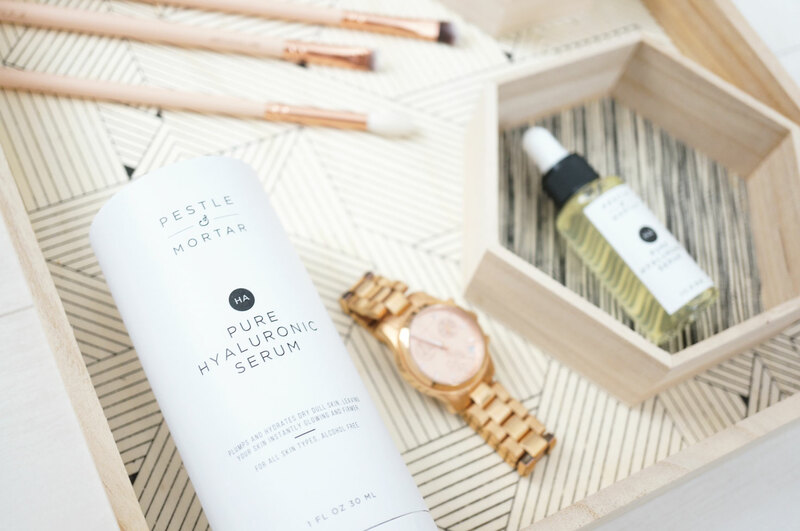 Pure Hyaluronic Serum is £33.00 and available now from Pestle and Mortar Cosmetics. I love the idea of this, I must look into it further.